Our Calculator and Mouse Pad is a unique product. We use two different type of printing method Pad Print and Silk Print (you can select the one that suits your need). Plus they can be printed using up to two imprint colors. This is a combination of two great products. These are great for offices, schools and trade shows. 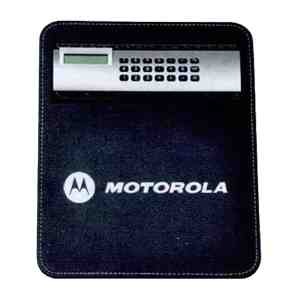 Perfect combination and very handy, you have a calculator every time you need it! Add your favorite artwork or message and we will print them on these mouse pads for you. If you are not certain about the final outcome, then you can opt for a proof, which will be a digital mock-up of how your order might look like. Feel free to call us if you require any assistance placing the order, our representatives are here to assist you. 7" x 9" x 0.19"